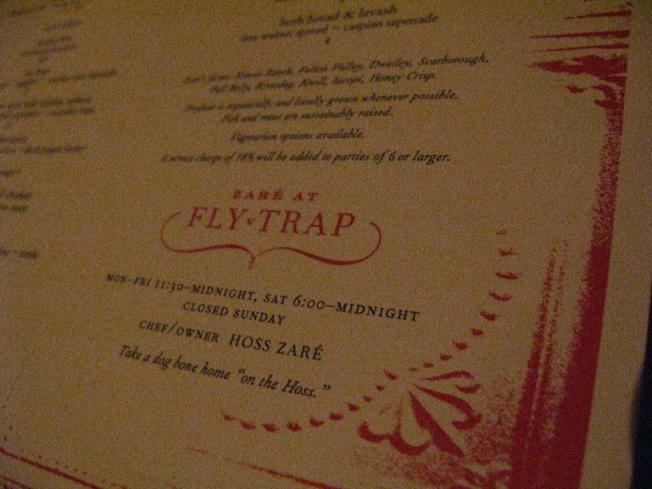 Hoss Zaré, of Zaré at Fly Trap, is always thinking about what's next for Persian food in the U.S.
To that end, he recently announced he's partnering with beer sommelier, Syre Piorkowski, and Ryan Corbett of The Monk’s Kettle to create a hypothetical upscale Iranian pub experience at the restauarant from Thursday, June 3 through Saturday, June 5 at one seating time of 8:30 p.m. Although pub fare doesn't exist in Iran, the cuisine has a rich culture of street food from which Zaré will pull inspiration. The special menu is available for $75 and includes wine pairings created by Zaré wine director Mario Nocifera and the aforementioned beer pairings. Call 415-243-0580 or visit the Web site for reservations.